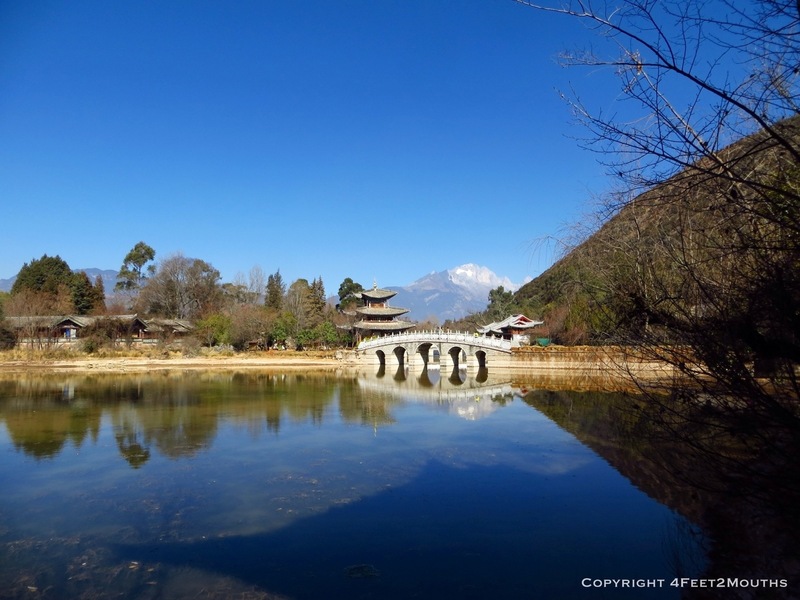 Lijiang is located in a very picturesque setting, which is part of the problem. 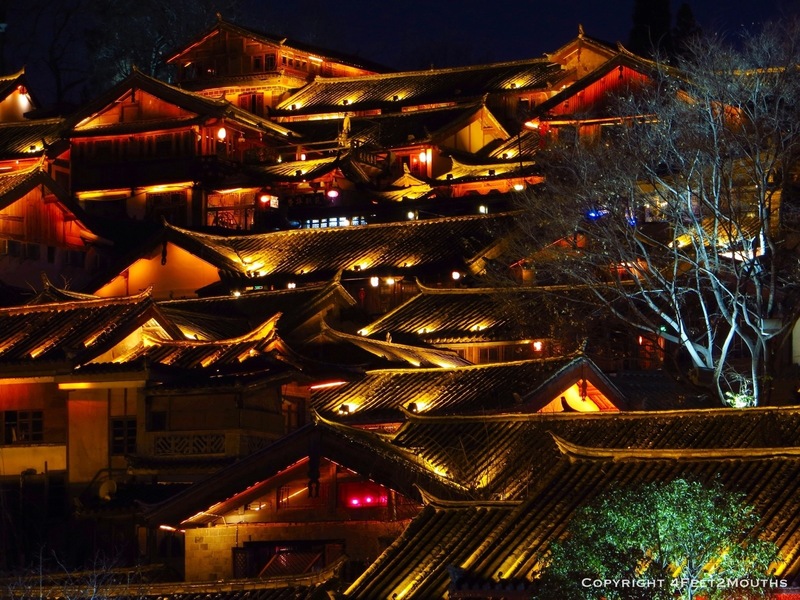 Chinese tourists love picturesque so the tourism agency has been doing its best to make the town as cute and profitable as possible. 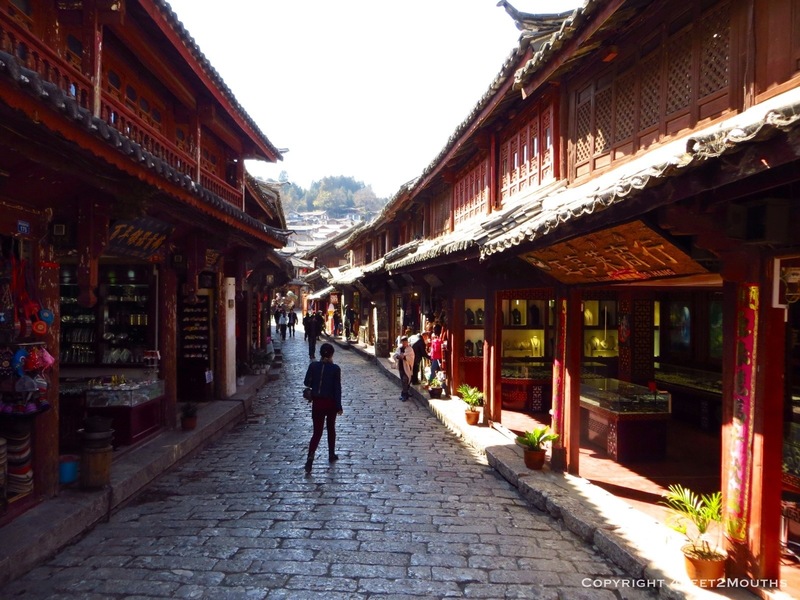 This includes building up the old town, charging a high ticket price for the sites and creating non-stop souvenir shops. The commerciality and new structures made to look old reminded us of Disneyland hence Nathan determined we were in Chisneyland. We started our explorations in the new public square just north of the old town. We picked up a few baked goods and sat down to people watch. It wasn’t long before people wanted to take our picture though. The people watchers became the watched. 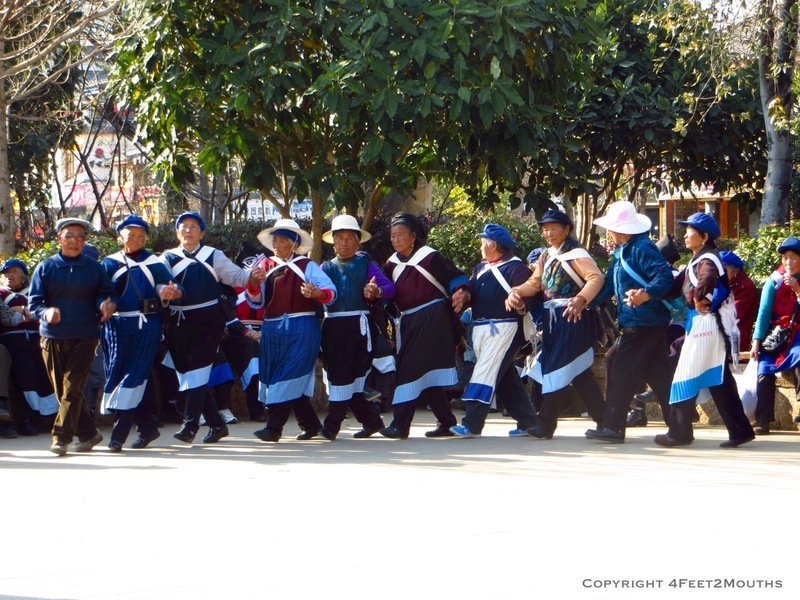 In the square they have elderly Naxi perform traditional dances. 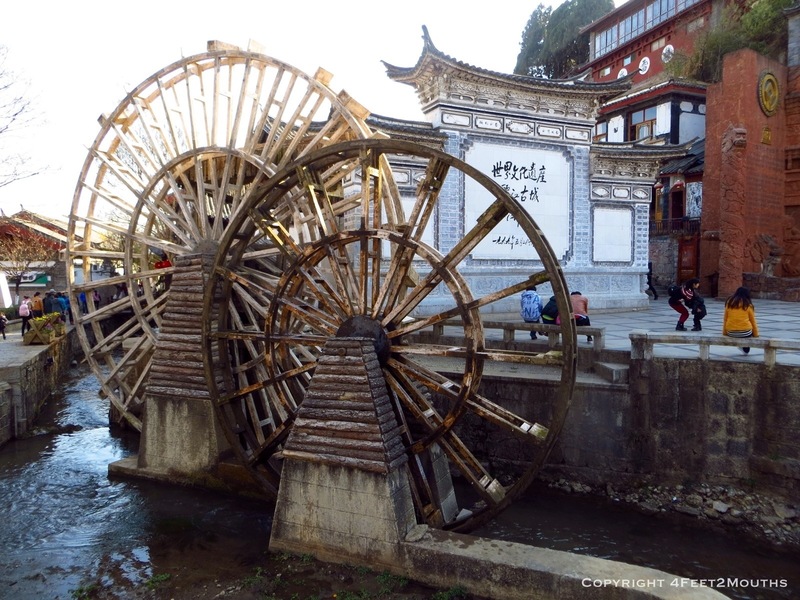 The Naxi are the local tribe and have interesting cultural legacies. 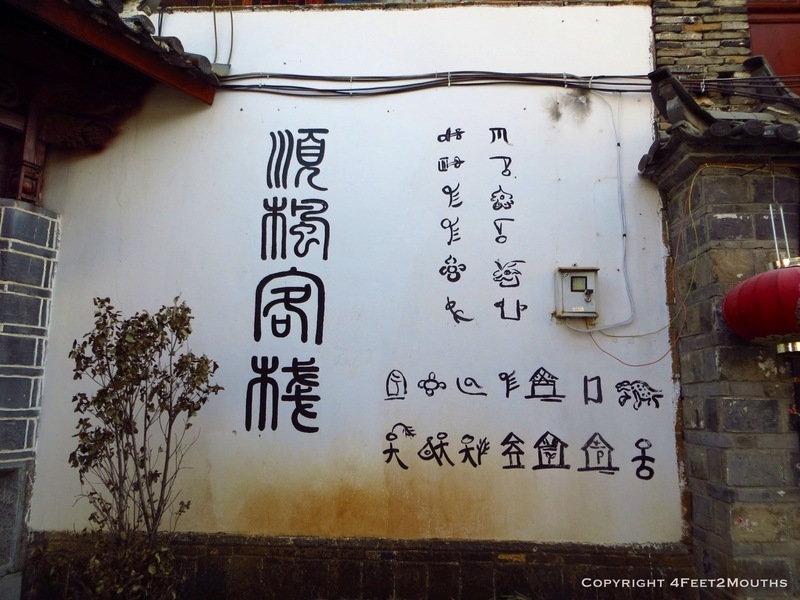 Especially it’s pictographic writing, which could be compared to Egyptian hieroglyphics. The Dongba Culture Museum compares to two scripts in an interesting exhibit. As for the dancing, I hope they get paid for their work. We saw them dancing in the mornings, afternoons and evenings! But most people aren’t here to dance. It seems they are here to shop. There are stores selling clothing, paper goods, jewelry, wind chimes, combs made of horns, yak meat, and musical drums. Repeat this 100 times. For me, the real beauty was in the side streets off the shopping lanes. 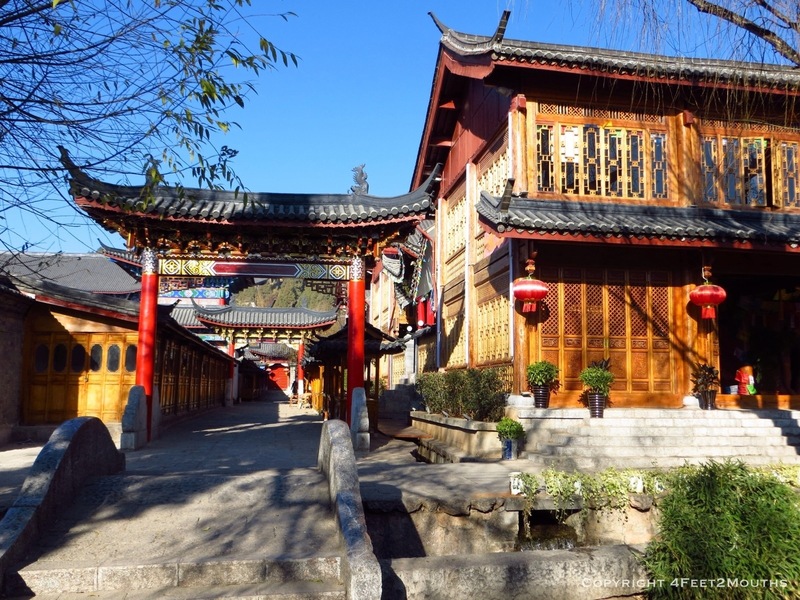 Here we found mostly hotels, tiny cafes and a pretty temple. 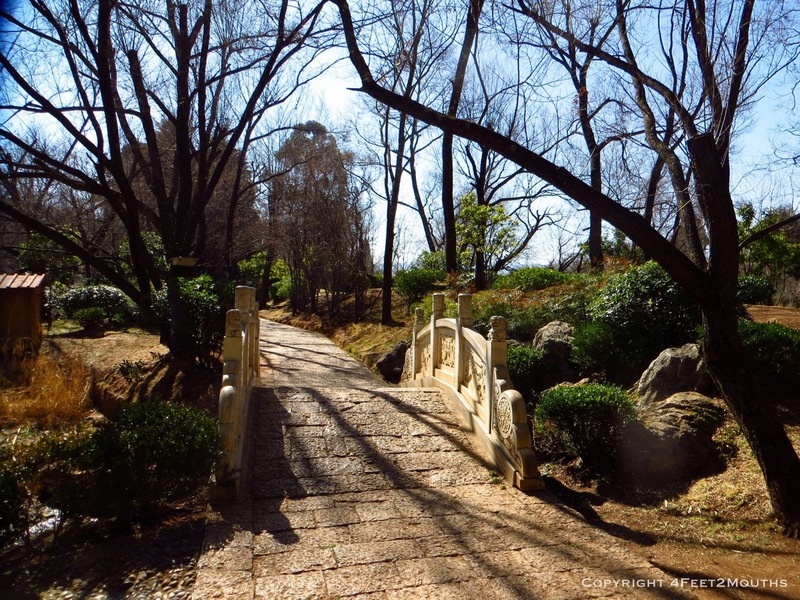 The meandering paths reminded me of Venice in the utter inability to keep ones orientation. It’s impossible not to get lost. One of our landmarks we walked past multiple times was the Mu Mansion, a historic building to the south where hawk handlers gather for photo ops. During sunset we climbed a hill to get a view of old town from above. We found a clearing by a temple and watched the sun cast golden light on the roofs. 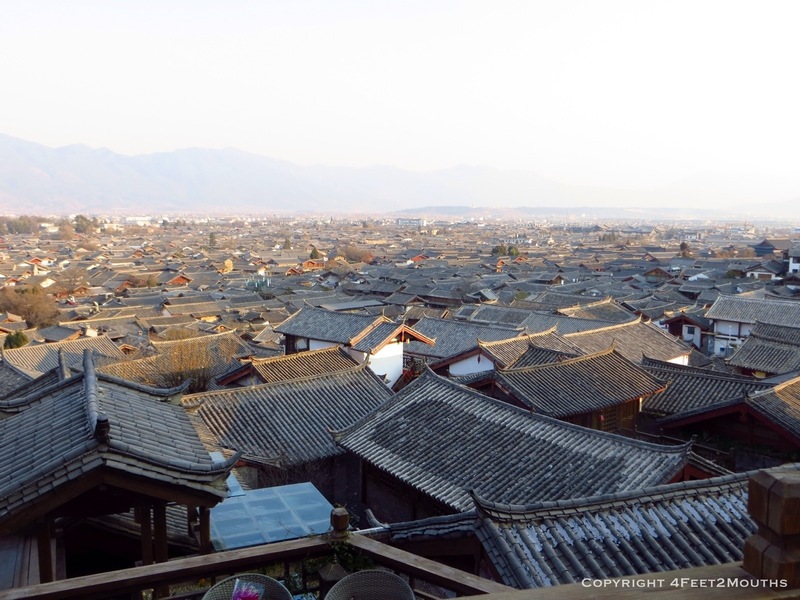 Since we had a birds eye view we tried to get our bearings within the old town. It was impossible. 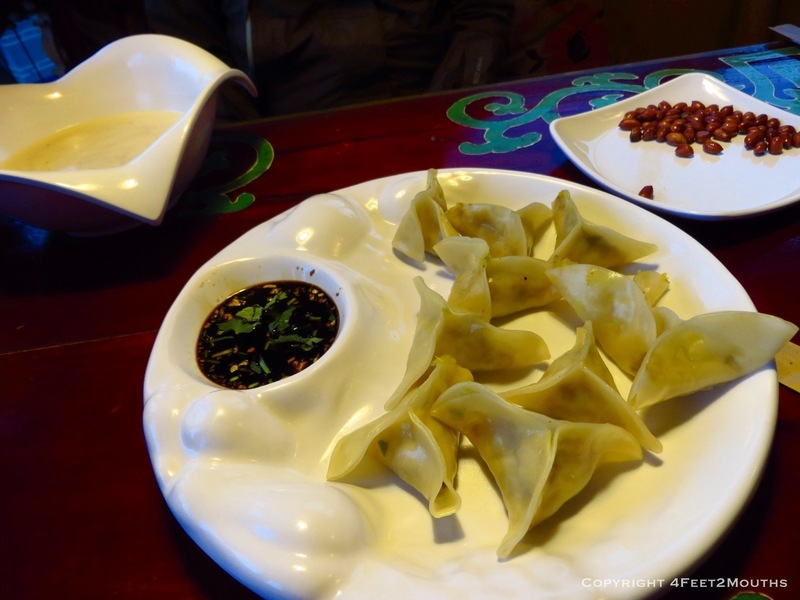 At night we just wanted something light, so we sampled the dumplings at a local Tibetan restaurant. 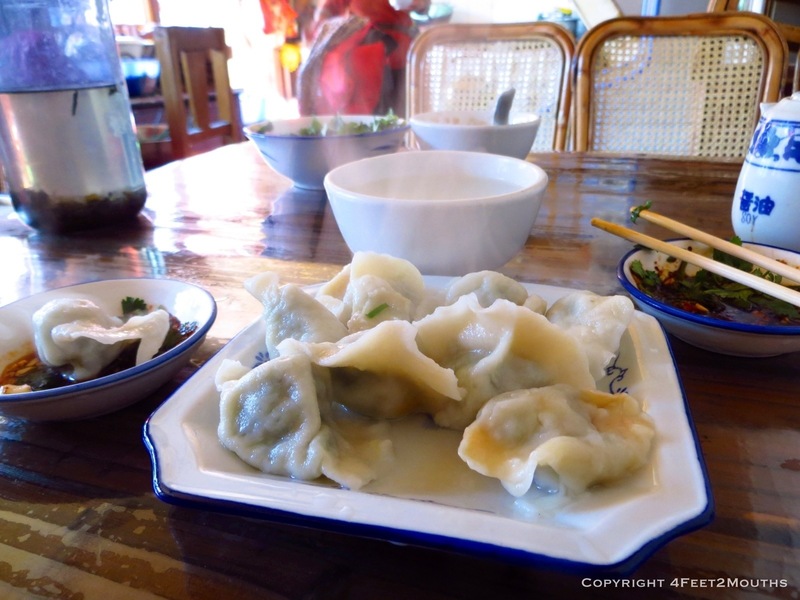 The curried veggie momos (dumplings) were simple and good, showing the influence of Tibet’s proximity to India. I also loved the atmosphere at the peaceful, upstairs cafe. 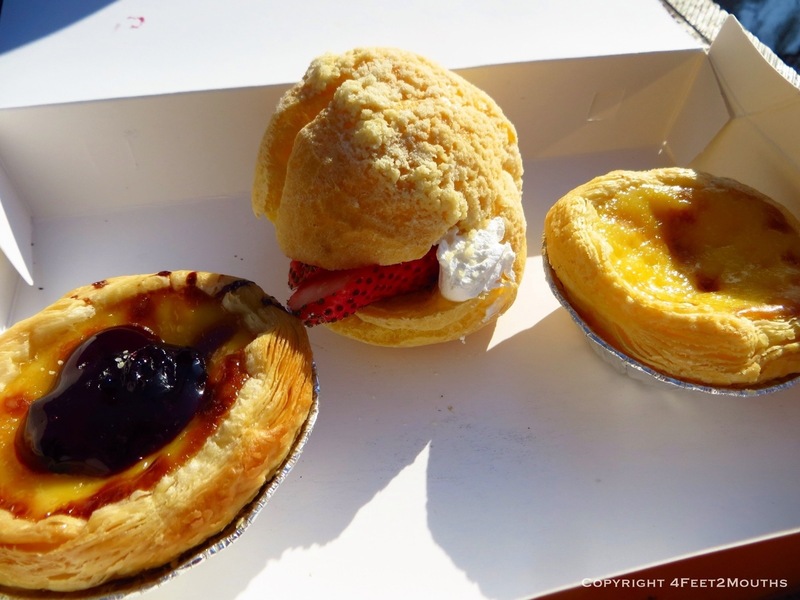 Our favorite place for breakfast is always the market and in the southwest corner of old town we found it. 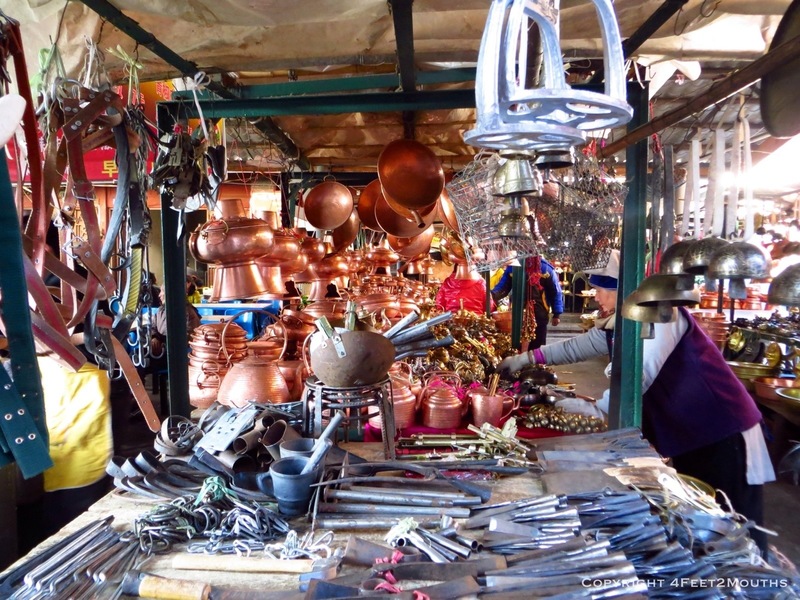 We walked past stalls of pretty copperware before finding the food court. Spicy fried potatoes and beef noodle soup filled us up. When we went to try the local fried bread, called a baba, the vendor had sold out. Sadness. Exiting the market we reentered Chisneyland and made our way through the maze. 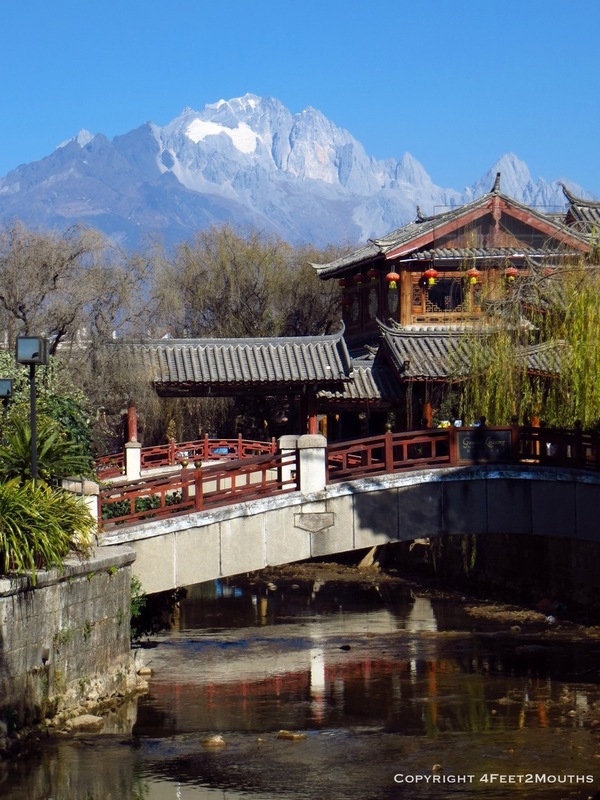 We wanted to catch a glimpse of the Jade Dragon Mountain, a set of beautiful craggy mountains north of the city. The Black Dragon Pool Park has a good vista but we didn’t care for the $13 per person entrance fee. As we passed the park looking for a good alternative view two local women told us they’d sneak us in for a fraction of the price. Now, this isn’t something we normally do but I think just for the fun of getting away with something we said yes. And it was indeed a pretty park with good vistas, but I think I would have been disappointed if I had paid full price. As we walked back towards the old town we passed a couple eating clay pot rice and had to have some. It was accompanied with some spicy, fermented zucchini and cabbage as well as a very light celery soup. For our final meal in Lijiang we really wanted some home style cooking. Miraculously, we were able to locate a dumpling restaurant we had passed on one of our lost walk abouts. I think it was the name the got me – Boiled Dumpling Aunty. Indeed, when we walked in, it was just two ladies, two tables, a blaring TV and a whole lot of dumplings. We ordered a variety of pork and beef fillings and waited with anticipation. They were amazing! Especially when dipped in our sauce that we customized with black vinegar, soy sauce, chopped garlic, chili powder and cilantro. It was a delicious meal that helped redeem a town that tries to hard to impress the tourist masses. Vistas, alleys, and dumplings oh my!!! Your comment makes us laugh, thank you. 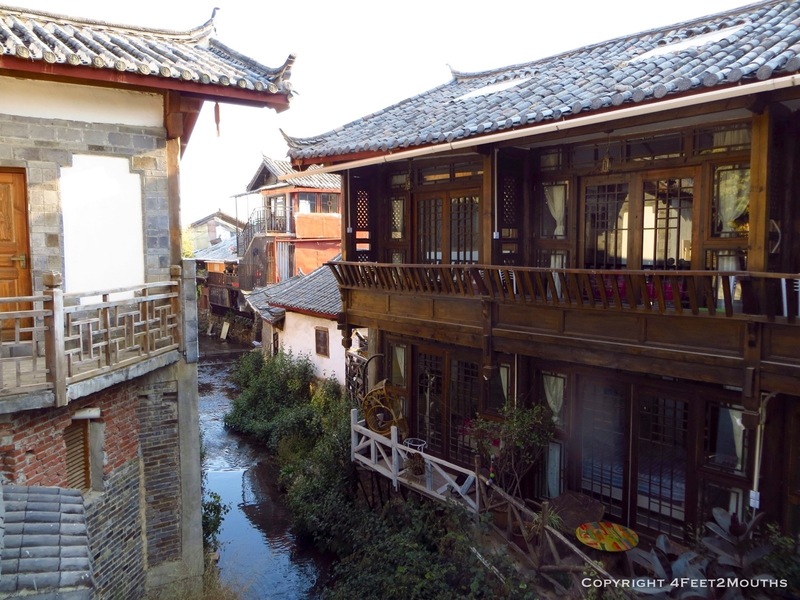 Lijiang has certainly changed since we were there in 2009! I can’t believe there was an entrance fee for the Park. It kinda makes me wanna go back to see how it’s different, but touring masses and Disneyland? Wowwww! 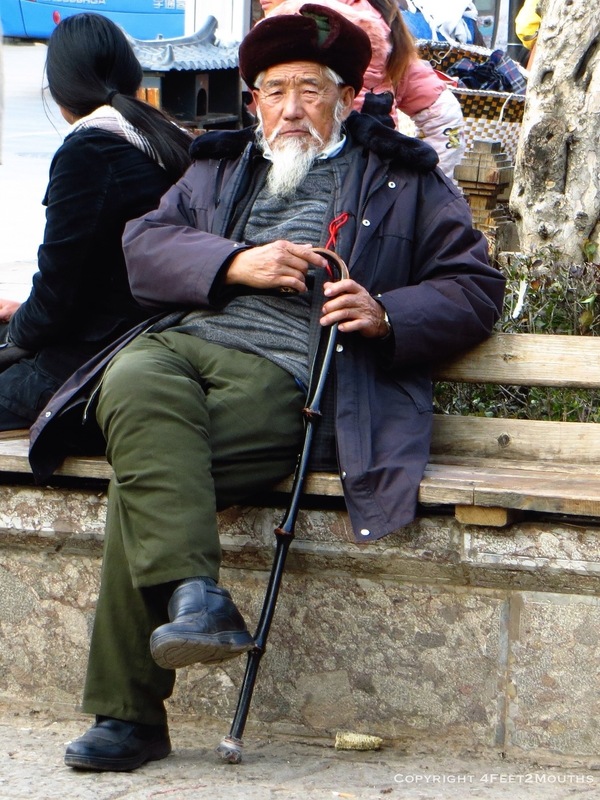 Lijianfpg after 4 years! I wish I visited it when you were here. It is kinda crazy touristy now. Still beautiful of course… When do you plan on returning here? Great pictures and splendid vegetarian food!! Thank you for sharing! Cornelia, thank you for commenting. You want vegetarian? 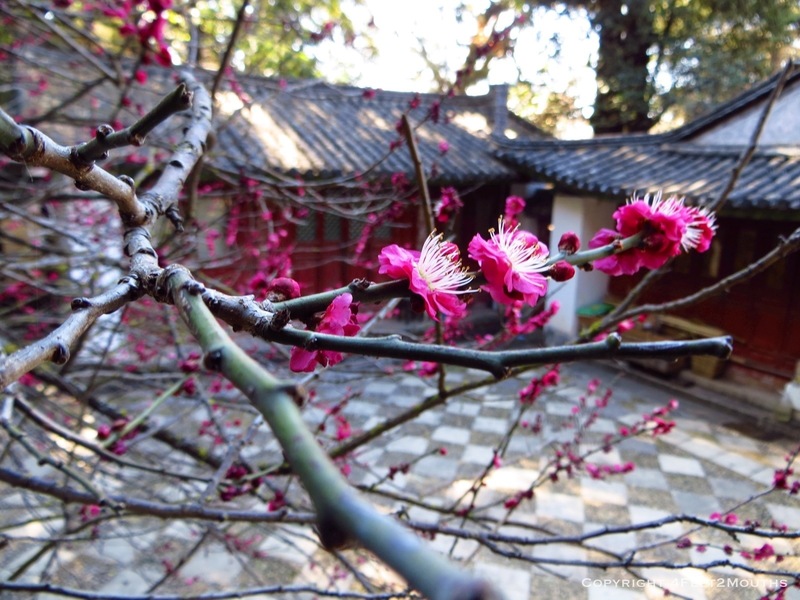 It is hard to find in China, but we will try and highlight some for you. 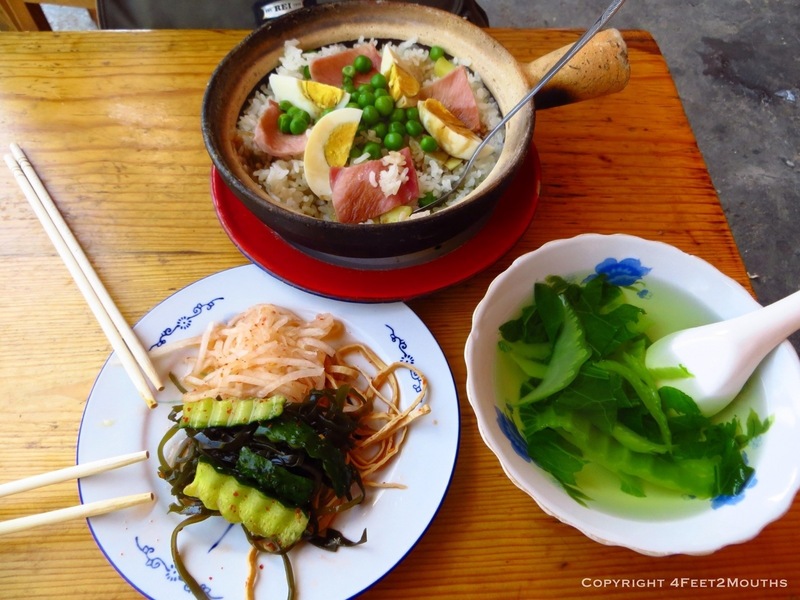 The best spots are vegetarian restaurants around monasteries and temples.